Hugh O'Donnell, one of 15 children, was born in Buckhaven, Scotland, on 31st August, 1913. Hugh and his brother Francis O'Donnell, played local football for Wellesley Juniors before joining Celtic in 1930. O'Donnell played at outside left for his club whereas his brother was the club's centre forward. After five successful years at Celtic, the two brothers were transferred to Preston North End in the summer of 1935. Hugh made his debut alongside his brother at Huddersfield Town on the opening day of the 1935-36 season. He had a successful first year scoring 15 goals in 39 league games. He was only two behind top scorer, Jimmy Maxwell. The two brothers were both members of the side that reached the FA Cup Final in 1937. Preston beat Stoke (4th round), Exeter City (5th round), Tottenham Hotspur (6th round) and West Bromwich Albion (semi-final) in the FA Cup. However, they were beaten 3-1 by Sunderland in the final. 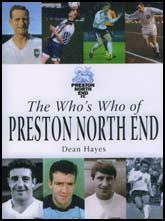 At the beginning of the next season, Preston North End made two important signings. 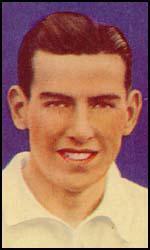 In September, 1937, Preston purchased the high scoring George Mutch, from Manchester United for £5,000. The following month, Robert Beattie a skillful inside forward, arrived from Kilmarnock for a fee of £2,500. They joined fellow Scotsmen, Hugh O'Donnell, Francis O'Donnell, Jimmy Dougal, Andrew Beattie, Jimmy Maxwell, Tom Smith, and Bill Shankly in the side. This Scottish dominated side finished 3rd in the First Division of the Football League with 49 points. Only Arsenal (52) and Wolverhampton Wanderers (51) obtained more points. Once again Preston had another good cup run. They beat West Ham United (3-0), Leicester City (2-0), Arsenal (1-0), Brentford (3-0), and Aston Villa , 2-1 in the semi-final. In the 1938 FA Cup Final Preston played Huddersfield Town. This was the first time that a whole match was shown live on television. Even so, far more people watched the game in the stadium as only around 10,000 people at the time owned television sets. No goals were scored during the first 90 minutes and so extra-time was played. In the last minute of extra-time, Bill Shankly put George Mutch through on goal. Alf Young, Huddersfield's centre-half, brought him down from behind and the referee had no hesitation in pointing to the penalty spot. Mutch was injured in the tackle but after receiving treatment he got up and scored via the crossbar. It was the only goal in the game. At the end of the season, Hugh O'Donnell and his brother Francis O'Donnell were transferred to Blackpool. However, he only played 14 games for his new club because of the outbreak of the Second World War. After the war he played for Rochdale (1946-47) and Halifax Town (1947-48). Hugh O'Donnell died on 9th May, 1965.